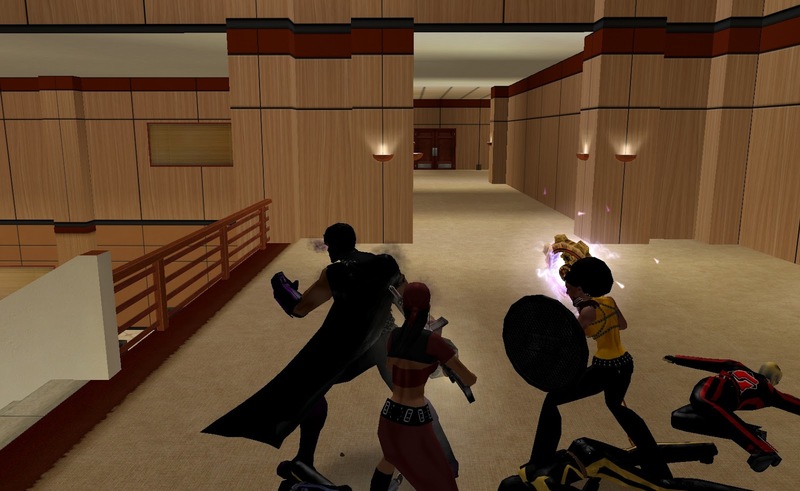 At stupid early this morning as the servers shut down, I came to the conclusion that one of my biggest gaming regrets was not playing City of Heroes more. If it ever finds a revival through some kind soul (no, EA. No. ), I will remedy this. Thinking about this made me appreciate all the more the love that was being expressed this morning in the final countdown to the end of City of Heroes as the sun set over Atlas Park. After leaving FFXI, I came to City of Heroes because my friend Deacon told me that, if I liked the costume options in DCUO, then I would love this game. Yes, that was more than enough to motivate me. You have no idea the things we will go through for fashion! This is a game that literally made your super hero dreams come true (though I'm not sure I will ever forgive biogeekgrrl for dreaming of me in as Cyclops) and let your alter egos come to life. It was a fantastic outlet for those moments when my satire needed to come out and we then went off adventuring. 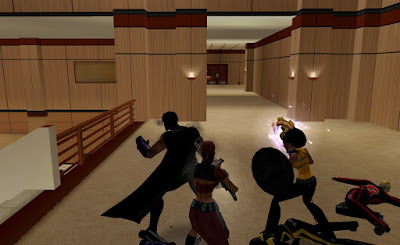 As I said, I regret not doing more with City of Heroes. I regret not getting to know both the characters and the precious developers who put their heart and soul into the game. I'll leave those retrospects to the people who truly understand what has been lost and want to share that with you.